During February 2003 on diamond geezer I kept myself busy by counting things. Ten different counts, to be precise, in a none-too thrilling daily feature called The Count. My 28-day tally chart may have been deathly dull to the rest of you, but I've continued to count those categories again, every February since, just to keep tabs on how my life is changing. Below are my counts for February 2011 (also available in graphical form via Daytum), accompanied by the previous statistics and some deep, meaningful pondering. I know this is a bit premature because the final results won't be confirmed until midnight, so for now the figures are best estimates. But I'll come back and update them later once the final data is known. Count 1 (Blog visitors): Up 7000 visitors on last year? How did that happen? There's the world convinced that blogging's dying on its feet, yet visitor numbers here are more than 20% up on last year. I'm not doing anything different, honest, so I can't think of an obvious reason why this rise should have taken place (unlike certain previous Februaries it's not due to external linkage). I won't dwell on how RSS feeds make readership data increasingly unrepresentative anyway, but 2011's looking good. Thanks for that. Count 2 (Blog comments): I thought blog commenting had peaked, laid low by Twitter, Facebook or whatever community you lot spend all your time in these days. But seemingly not. After a couple of leaner years, responses are back on the up again. Even better, most of these comments are sane, relevant, insightful and kitten-free. I'm delighted, obviously, because a daily conversation beats verbal tumbleweed blowing across everything I have to say. So thanks for that too. Count 3 (Blog content): This turns out to be my most prolific February yet, which is pretty much what I said last year. I'm now averaging more than 800 words a day, at which rate it only takes a few months to add up to the length of a short novel. I always mean to keep it succinct, but then there's something extra I want to add and before I know where I am I've written another daily essay. You'd still read this blog if I wrote a bit less, I know, but something keeps driving me to write a bit more. I need to learn to ease off a little. Count 4 (Work/life balance): Daytum provides a fascinating way to visualise my February as a purplish pie chart (reproduced here), and 2011's graph has turned out to be mostly similar to 2009 and 2010. I work about a quarter of the time, which may not sound much but it's still more than I'm contracted to do. I'm pleased it's less than last year - my work/life balance is improving. I sleep an average of six hours a day, which I bet is less than you, but it's still longer than I spend in the office. Only 8% of my time is spent on the move, mainly because my daily commute's mercifully quick. And that leaves nearly half my life for everything else - eating, blogging, socialising, visiting, tellying, slobbing, that sort of thing. Thankfully I'm extremely good at dragging things out to fill the time available, because there's a lot of it, but oh the joys of being footloose and offspring-free. Count 5 (Nights out): Ooh, nine. That's my best result since the hedonistic days of 2003. Admittedly two of those nights out were enforced sociability in a Yorkshire hotel and one was a consultation event at a local library, but most of the rest were genuine attempts to be convivial. There were even several cast-iron 'proper' nights out (friends, bars, beer, stumbling home in the early hours, that sort of thing), which suggests I'm not quite so interactively inept as I often fear. Count 6 (Alcohol intake): See, I told you I'd been going out more. Even better, I've been going to places that actually serve my favourite gassy bottled lager and don't force me to fall back on something I like less. Admittedly I did look a complete dullard last Friday night while everybody else was ordering pints of Tanglefoot and Badger, but thank you all so much for not mentioning this to my face. Count 8 (Trains used): I'm back to a two-train commute rather than a one-train commute this year, so my monthly total's reverted to "just over 100" again. If it wasn't for an excess of weekend engineering work requiring me to take rather fewer trains than usual, the figures would no doubt be even higher. Count 9 (Exercise taken): Unlike the majority of wimpish London travellers, I still attempt to walk up every escalator I ascend. I really don't know how some of you stand there on the right when there's a perfectly good means of exercise to be gained by striding up on the left. Beats paying a fortune to go to a gym, that's what I say. This time last year the ArcelorMittal Orbit was nothing but a glint in a planner's eye. Boris hadn't even announced the chosen design, let alone asked Londoners what they thought of a 115m observation tower made from a twisted coil of red steel. And now here it is, shooting up from ground level alongside the Olympic Stadium. Blimey, that's fast. To give you some idea of the speed of construction, Ollie snapped a similar photo a fortnight ago, and the tower's already twice as high as it was then. It's already visible above the rooftops from ground level when standing beside the Bow Flyover, and will be an unmissable object on the local skyline before very long. 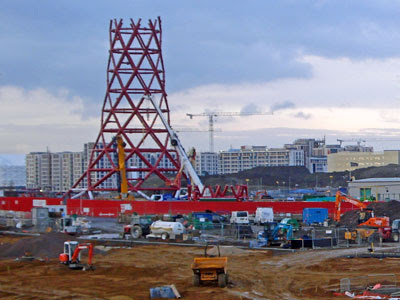 The official deadline for completion is the end of the year, although expect full height to be reached well before that. Once an operating company has been appointed, and a ticket price set, the public should be allowed inside before the 2012 Opening Ceremony takes place. It's then hoped that the Orbit will draw in a million visitors a year, assuming tourists want to look down over West Ham's new stadium and the surrounding post-Olympic regeneration sites. But will we love it or hate it? At only nine hoops high, it's still too early to tell.  Although not much has changed lately on the stadium's exterior, work now appears to have begun clearing up the land immediately outside. At ground level the plaza area is being scraped free of piled-up dirt, while a row of greenery and trees has been planted alongside the western bank of the City Mill River. Across on the eastern bank some heftier re-contouring is underway, creating waterside slopes in preparation for a larger area of landscaped planting. From building site to international panorama - the pre-Olympic wash and brush-up is underway.  We have further proof that the "Big Build" phase is pretty much complete. You know that London Concrete works that used to be next to the Greenway? The one they kept because building an Olympic Park takes a lot of concrete? Completely demolished, almost without trace. Next in this space - the warm-up track for limbering-up athletes.  The timetable for Olympic test events has been revealed. The first one's mountain biking in July, while the first in the Park itself is Basketball in mid-August. Even if you don't get a ticket for the real thing, keep an eye on this list for a possible seat in the stadium, by the pool or wherever.  It's a pity the ViewTube doesn't seem to have a regular groundsman. Last summer two strips of flowerbed were fenced off outside, and lots of pretty shrubs and wild flowers planted. Alas the flowers are long dead, the wooden fencing's disappeared, and both are now patches of walked-on mud. One bed has a plaintive message saying "spring bulbs planted, please keep off" but it doesn't appear to be working. There's yet more mud on the corner of the Greenway where everyone keeps taking a shortcut, and another up the steep slope round the back of the kitchen. I hope the ViewTube's surrounds look better by the summer, but they're a right ugly mess at the moment.  Fancy a job at the Olympics in 2012? There'll be a hundred thousand up for grabs, so they estimate, and you can now express an interest at www.jobsforthegames.co.uk. Especially useful if you know you're likely to be unemployed in a year's time, I'd imagine. You know that annoying studio audience which laughs its way through your favourite radio programme? That could be you, that could. And if you were listening to Radio 4 last night, that could have been me. Sorry, I'll try to laugh a little quieter next time. There have been 73 series of The News Quiz, which kicked off in 1977 with Barry Norman in the chair. It's the radio show that inspired Have I Got News For You, and essentially involves four comedians making jokes about news stories to score spurious points. Since 2006 proceedings have been run by Sandi Toksvig, and she convenes her panel for a recording session on a Thursday evening. Get your request in early enough and you might even get a ticket. Ideal for a fun free evening out, and a great way to get payback on your licence fee. It pays to arrive early, because the BBC always issues more tickets than there are seats. The News Quiz queue was quite long even by 6pm, and snaked up the side of Broadcasting House past several life-size posters of actors from the Archers. Eventually we shuffled forward to the entrance lobby (a mixture of Thirties style and 21st century glass) where tickets were checked and there was airport-style security to negotiate. And then along a BBC corridor to a BBC waiting room, on whose decor I can assure you almost none of your licence fee had been wasted. It was fascinating to sit in a room full of members of the Radio 4 audience, which is indeed as utterly middle class as a recent BBC Trust report feared. London may be a multicultural hub with pockets of deep poverty, but the assembled ticketholders reflected none of that. The BBC Radio Theatre is hidden away at the centre of Broadcasting House. It's an Art Deco jewel, recently refurbished but still with period friezes and glowing mauve panels on the walls. The floor's been raised and soundproofed to block out the rumble of the Bakerloo line directly beneath, leaving the original exit doors half-hidden and suitable only for crawling through. The auditorium's first come first seated, so us 6pm arrivals got to shuffle along the back row of the stalls while later folk got the balcony instead. Chatter, anticipation, hush. Golly look, it's Sandi Toksvig. She swept out from behind a curtain to great applause, then read us the fire instructions and started on the warm-up. Ooh she's good - just the right mix of charm, cheek and knowing smirk. Her sidekick Rory (who reads the news clippings) looked like an ordinary tall bloke from the back office until he spoke into a microphone and revealed the most marvellously smooth Radio 4 voice. And then we got to meet our four panellists. Two I'd never seen before, one whose face I knew from telly and the legendary Jeremy Hardy, on whose quick wit the programme relies. They bantered a bit to set microphone levels, and then the Typewriter theme tune kicked-off the recording proper. The format's very simple. Each comedian in turn is asked to identify a news story from a brief question, they tell a few jokes on the subject and then everyone else joins in. It's very funny, like an intelligent conversation down the pub with a bunch of verbally-sharp friends. But it's not easy. Susan was highly adept at quick quipping and had the audience guffawing throughout, but newcomer Roisin was clearly out of her depth. She's probably very good as a stand-up with a prepared act, but not at sparkling off-the-cuff wit. That's not a problem you'll spot on the recording, I suspect, because this has been expertly edited. We were sat in our seats for a full hour and a half (most of which was hilarious) but the Radio 4 audience only gets to hear the best 27 minutes. In particular we got to hear all the rude, sweary and libellous stuff that could never be broadcast. What Sandi really thinks of Cheryl Cole, Jeremy's barrage of polemic and Susan's fear of smurfing, that sort of thing. It used to be the case that none of the panellists had advance warning of their questions but that's clearly no longer true. Dominic chipped in with the correct answer to one of his questions before Sandi had finished asking it, and everyone appeared to know rather too much about their designated subject. Again you won't spot that on the recording, not least because only half of the questions appear to have made it to the final cut (the score which Sandi announced in the theatre was nine points higher). You'll get to hear Libya, Double Summer Time and the census being discussed, whereas we also got to giggle about churnalism, Enid Blyton and giant boreholes in Newcastle. I've really enjoyed listening back to the edited version of something I saw first-hand but, trust me, if you weren't there in the Radio Theatre you missed so much. Good luck getting tickets for Series 74, they'll be like gold dust (and rightly so). Hmmm, yesterday's post on Double Summer Time opened a can of worms. Over forty heartfelt comments, with opinion split roughly half and half between those who think DST's a great idea and those who think it's madness. If you want to continue that argument, please go to yesterday's comments box here. So look, my problem with British Summer Time is this. We put our clocks back at the end of October, two months before the shortest day. But we put our clocks forward at the end of March, three months after the shortest day. Why the extra month's difference? Is there really a good reason, or does this simply make March thirty-one hours more miserable than it ought to be. At the end of October, immediately after the clocks go back, sunrise is just before 7am and sunset is at about 4:45pm. These are the times which trigger the end of British Summer Time, the clocks-back moment. Middle of autumn, last week of October. So clocks should go forward again when the same solar conditions prevail. When sunset is once again at 4:45pm, perhaps. But this happened four weeks ago at the end of January. One of the quirks of axis-tilted daylight is that sunset gets later much quicker than sunrise gets earlier. So the end of January is too early to switch the clocks, because sunrise hasn't caught up yet. So we ought to match sunrise times, not sunset times. Clocks should go forward again as soon as sunrise occurs at the same time as it did in October. When sunrise is just before 7am, that is. And that happens at the end of February - indeed it's this very weekend. But that's not what happens either. Instead we wait an extra month until the last week of March to put our clocks forward. By then sunrise isn't just before 7am, it's just before 6am. And sunset isn't just before 5pm, it's more like 6:30pm, which is a heck of a lot later. Why do we hold back so long? I genuinely don't understand why our Summer Time dates are asymmetric. Eight weeks before the shortest day, but fourteen weeks after. Why do we prolong evening gloom for so many weeks longer than seems necessary? Be aware that precisely the same irregularity would apply if Britain decided to go with Double Summer Time. We'd switch from GMT+1 to GMT+2 in March and back again in October. Still five months of one and seven months of the other, and still not balanced out with the solstices at the centre. Our Daylight Saving changeover dates are regulated by European legislation. Officially the date is Sunday (31−(5*y÷4+4) mod 7) March, but don't let that worry you. In practice, "the summer-time period shall begin, in every Member State, at 1am Greenwich Mean Time on the last Sunday in March." Before you go blaming Brussels, this is exactly the same scheduling that used to apply to UK Summer Time before the European directive was issued. March forward, October back. So I want to launch a campaign to put the clocks forward at the end of February, not at the end of March. Back on the last Sunday in October, and forward on the last Sunday in February. Simple, sane, symmetrical. Under my proposal, this week would be the last week of the winter we'd have to put up with premature sunset. My simple change would mean that sunset next week was at quarter to seven, not quarter to six, which would be a genuine boost. Let's welcome March with a spring in our step, not with gloom in our hearts. A shorter British Wintertime. February Forward. You know it makes sense. Hey Britain, steel yourself for Double Summer Time. This is the Coalition's latest wheeze to boost tourism/save energy/cut road deaths by making our evenings lighter later. More specifically they're considering changing from GMT to GMT+1 in the winter, and from GMT+1 to GMT+2 in the summer. This doesn't increase the amount of daylight we have, that's physically impossible, but it does shift more of the available daylight past breakfast to a time when you're actually awake. In June Double Summer Time would mean it'd stay light until roughly 11pm, but conversely in late December the sun wouldn't rise anywhere in Britain before 9am. The BBC have a very useful graphic to show the extremes, which I've semi-cannibalised to create this table. I think everyone agrees that lighter evenings in the winter would be a good thing. Fewer accidents on the roads, cheaper electricity bills because the lights go on later, and no longer that sense of gloom when the sky goes dark before 4pm. In London the sun would set within a few minutes of 5pm from mid-November to mid-January, which has got to be better than we have now. But there's a price to pay. Sunrise in London would take place later than 9am for several midwinter weeks, and much nearer 10am for everybody across Scotland. Would dark mornings wear you down more than light evenings would cheer you up - that's the key question. Let's take a more detailed look at what Double Summer Time would mean for sunrise and sunset times across an entire year. I've picked Leeds because it's roughly in the centre of the country, and I've given approximate times for the middle of the month in each case. Remember, everything in this table is one hour later than we have now. Changing to Double Summer Time would be easy. At the end of March we'd shift our clocks forward an hour as usual, but then in October we'd choose not to turn them back. The following March we'd shift our clocks forward one further hour, aligning us with Double Summer Time, and then we'd continue with "Spring forward, Fall back" as usual every year. ...which makes it extra-surprising it's the Conservatives suggesting this. We'd essentially be joining Central European Time. Our clocks would read the same in London as they do in Vienna, and in Belfast the same as they do in Warsaw. This is astronomically perverse. The sun takes precisely one hour to travel through 15 degrees of longitude, but the longitudes of Belfast and Warsaw are nearly 30 degrees apart. We'd be joining a CET timezone that's twice as wide as it ought to be, with the sun taking two hours to travel from one side to the other rather than just one. The UK took part in a DST experiment back in 1968, spending three years with the clocks set one hour ahead of normal. But dark mornings in the northern half of the country weren't popular, and the experiment was soon abandoned by politicians fearful of losing their seats. Now that Scotland's independent they could go it alone, staying on GMT/BST while the rest of the UK goes Double. But do we really want to be changing our watches as we cross the Scottish border? And is a Kingdom split by time really a United one? Personally I hope we leave our clocks where they are. Daylight Saving is already the most successful con trick of all time, persuading entire nations to do everything an hour earlier than they would otherwise for seven months of the year. Double Summer Time would simply extend the pretence for the entire year, shunting everyone an extra hour into the future. It's government-enforced time travel, enabled purely because certain businesses would find it advantageous. It's not really increasing daylight, it's just shifting winter gloom from evenings to mornings. And anyway, like I said, there's another issue with British Summer Time which I really think needs dealing with first. Of which more tomorrow. Stuff the Olympics, they're a flash in the pan. What comes afterwards is far more important. What'll be the fate of the stadia and the surrounding land once the rest of the world has gone home? Those of us who live around here are keen to know, because we've got to live with the outcome. In charge of these decisions is the Olympic Park Legacy Company, who've recently been given full ownership of the surrounding land and a remit to direct its future. It's the OPLC who picked West Ham over Spurs for the stadium, for example, and who now have to make plans for everything else. Legacy Engagement Roadshows are currently underway in the surrounding boroughs, and yesterday I went along for a chat at the Bow event. Here's what I found out (one bit of which, if you haven't heard before, is a bit gobsmacking). » Queen Elizabeth Olympic Park will be opening to the public in 2013. Even though the Park will be one of the central features of Olympic fortnight, it's going to be sealed off again after the Paralympic Closing Ceremony is complete. That'll give London 2012 a chance to de-Olympic the site (taking wings off the Aquatic Centre, etc) before handing it over to the OPLC for future use. What's not yet certain is precisely when that changeover will be. Although May 2013's currently pencilled in, it might be possible to open up part of the Park before that, possibly weekends only. Still two years to go. Be patient. » The northern half of the Park will be green - the southern half more grey. 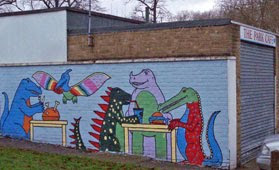 The Park naturally splits in two, with a narrow neck in the centre along the River Lea. To the north will be wetlands, grassland and hillocks, in a style which appears to owe more to Teletubbies than natural landscape. The first new trees were planted a while back, and aerial shots currently show mysterious eyelid hills and ornamental plateaux taking shape. There'll be fewer green spaces to the south around the stadium, where large paved plazas will generate a more urban vibe. 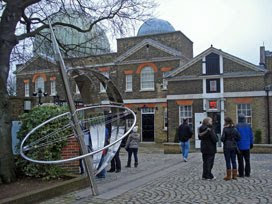 If all goes to plan, a series of events held here will draw large crowds into the Park, making this one of London's Top Five visitor destinations by 2020. I can't see that target being reached, but it's good to aim high. » Approximately 7500 new homes will be built in the Park. This is how the Olympics gets your money back. There'll be acres of housing, 35% of it affordable, and hopefully more desirable than you'd expect. The OLDC could have crammed in lots of residential towers but thankfully won't, with most of the new stock being medium- or low-rise. It'll take 20 years to build the lot, not because it's a massive job but because they don't want to flood the market all in one go. Schools and surgeries and corner shops are also planned to ensure that QEOP becomes a cohesive community and not a windblown social desert. Fingers crossed. » The five new Park neighbourhoods have yet to be named. Early legacy documents suggested names for the five new neighbourhoods to be developed here, but people scoffed so they've been withdrawn. Instead there'll very soon be a public competition, in conjunction with the BBC, to come up with five placenames to be used in perpetuity. I'm sure you can do better than "North of Athletes Village", "Next to Hackney Wick", "Next to Stratford City", "Next to Old Ford" and "Around Pudding Mill". » The Olympic Park will be designated the E20 postcode. Apparently it's true. The Post Office have proposed that the entire area around the Olympic Park (including the main stadium and the Westfield shopping centre) comes under a new E20 postcode. That's despite the fact that East London's postcodes currently only go up to E18, so you'd expect E19 to be the next choice. 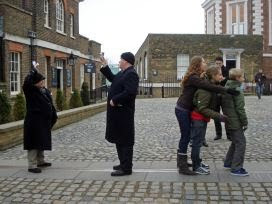 No, they want to use the same postcode that EastEnders picked for Walford 25 years ago, because E20's more memorable. Expect a wily building contractor to name their new development Albert Square, and maybe a Queen Vic bar up the road in Dot Cotton Close. 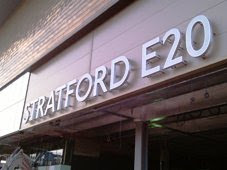 OK that's silly, but Stratford E20's no joke, it's imminent. » Development in the park is currently scheduled to continue until 2031. Queen Elizabeth will be dead long before her memorial park is complete. That's because building plots have been divided up into those to be developed by 2021 and those which'll have to wait until a subsequent phase 2. This leaves a particularly interesting problem, which is what to do with the vacant plots for a decade or so. Nobody wants a park littered with large areas of fenced-off wasteland, so suggestions are being sought for alternative short-term uses. Invite Cirque De Soleil to set up a big tent, perhaps, or cover the area with sand so us locals can pretend it's a beach. Someone else has suggested planting a field of lavender, or even turning the whole lot over to temporary allotments. Hopefully some genuinely creative ideas will get selected, which is key if the rest of London's ever going to learn to love the place. Just what is there to do at the O2? I ask because a heck of a lot of people seem to go merely because it's there, and not because they've come to North Greenwich for anything in particular. There's an arena, of course, but loads of people who come don't seem to have tickets for that. They simply turn up at the giant dustbin lid and expect to be entertained. Why do they come? It could be for the cinema. This is pretty big, especially given that it serves a catchment area of not-many local homes. And it's a bit of a honeytrap, sucking up punters via a glowing escalator, then making it surprisingly difficult to find their way out again. But that doesn't explain the crowds wandering around at ground level outside. It could be for the restaurants. There are probably more restaurants here than any other non-high-street in the country. All the big chains are on site, or at least all those above fast food level - there's nothing so base as a KFC or McDonalds. 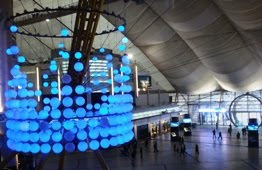 The O2 wants you to sit down and eat when you visit, not graze and snack and disappear. Japanese, Italian, American... there's even a Harvester just opened at the very far end. Maybe that's why people come, for the ultimate choice in mid-range non-threatening dining out. Could be. Titanic - the Artefact Exhibition: Wow, this was packed on Sunday. Not that I ventured inside, but there were long queues waiting outside and a steady stream of people dripfeeding out of the shop at the end. Somewhere inbetween are 300 artefacts recovered from the ocean floor, and some stories and videos and stuff. You might enjoy, I'll pass. The British Music Experience: And this wasn't packed at all. At least there was nobody queueing up outside, in stark comparison to the throng jostling nextdoor. A group of floppy youths stopped and enquired at the desk, but I don't think Dusty and Oasis were for them. It's fully interactive inside, I'm told, with a live music studio and recordings you can play at home. But I wonder if the internet and games consoles are making this place increasingly irrelevant. Dinosaurs Unleashed: This is very new. 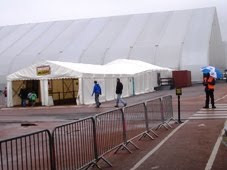 They've erected a big white tent outside the back of the Dome and filled it with animatronic dinosaurs and CGI effects. Not something your average punter is going to want to see, but absolutely magnetic for children of a certain age with a palaeontological fixation. On Sunday it seemed to be doing a roaring trade (sorry), and I lost count of the number of family groups walking out into the drizzle with a grinning Junior in tow. The Nissan Innovation Station: What's that glowing blue portal leading seductively off Entertainment Avenue? Why not collect a barcoded bit of cardboard from the entrance and find out. Ooh, a forest of glowing LED bullrushes... and you're in. What you've wandered into is a seductive interactive car advert, with umpteen screens beckoning you over to press, prod and communicate. Nissan cars make noises, what noises do you make? Don't electric cars travel a long way, especially our new model? Would you like to enter all your personal details on this keyboard so we can email you later? Someone's gone to a heck of a lot of effort to build four rooms of surreptitious automotive pluggery, but never mind, it'll keep the next generation of consumers busy for quarter of an hour. 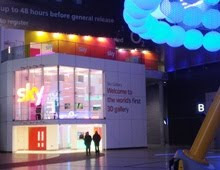 The Sky 3D Gallery: You'll find this three-storey prefab in one corner of the entrance piazza, tucked up against the wall where the casino isn't. It's billed as the world's first 3D gallery, which may be electronically true but conveniently ignores centuries of classical sculpture. On the ground floor grinning staff will give you some 3D specs, which you then take upstairs and watch some 3D TV. Football and rugby, Disney and Pixar, ballet and wildlife... it doesn't take long to work out that this is nothing but a giant advert for 3D stuff you can watch on Sky. Nothing arty, nothing original, just mass media pixels which they hope you'll subscribe to later. It probably works too, because I bet hesitant Sky customers are most likely to upgrade to 3D only once they've experienced what they're missing. And on the roof? Just an empty viewing gallery, which is great assuming you think the O2's entrance piazza is worth viewing, and not really otherwise. So, what you get at the O2 is a captive family audience it's dead easy to sell to. Some come knowing what they want to do, and leave having spent £80 on dinosaurs and food or whatever. Others simply turn up with time to fill, but still leave with their wallets emptied. I was going to complain how nakedly mercenary the entire place is, except that the original Government-sponsored Dome was exactly the same. In 2000 the exhibits were sponsored by BT, Marks & Spencer, McDonalds, Tesco, BSkyB et al, and in 2011 it's only the brands that have changed. Come on down, the Millennium Experience is as shallow as it ever was. Update: For those that don't know, this is a QR code. It's a two-dimensional barcode, generated according to a Japanese system created in 1994, and easily scanned by a variety of modern smartphones. 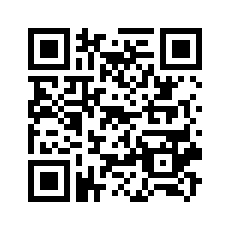 If your mobile has the right app, then scanning the code acts as a hyperlink to whatever web address has been encoded (in this case, my blog). Expect to see a lot more of these in adverts and the media in the near future. London pairs: I'm trying to come up with a list of placenames used twice in London. Used once in one part of London, then again somewhere completely different. Here's what I've found so far. Any more? No pubs, no road names, etc, just proper places please. I took a blogger to dinner last night. "You're not going to blog about this are you?" he said. We didn't want a big dinner. Beer and a pie, or something, that'd do. So I took him somewhere I've always heard good things about, but never been. Food appeared only to be served downstairs, which was a bit of a warren and not as quaintly medieval as upstairs is supposed to be. It took us a few seconds to work out that the bar was also the food counter because there was no signage of any kind, but I eventually spotted some telltale ketchup sachets. The menu was on the table, with some impressive-looking pies and suet puddings, so selections were made and I joined the queue. Long queue too. But there was only one bloke behind the bar, and at peak time on a Friday evening he was struggling with demand. Beer and food, beer, food, queue shuffled forward. Wine by credit card, beer and food, queue shuffled forward. Group of four who couldn't make up their mind... and after ten minutes I was finally at the front. At which point the barman walked to the other end of the bar and served a later arrival instead. More wine, a dropped glass, and now surely it was my turn. Because that's how it works in any civilised pub on the planet with attentive staff, isn't it? Assuming they've been paying due attention, the person who's been waiting the longest should always be the next to get served. But no, some extrovert bloke who'd walked up to the bar two minutes earlier waved his finger at the barman and the barman immediately served him instead. I considered leaping over the counter and smearing a twenty pound note across the barman's face, not because it would have helped but because it would have made me feel less cross. But instead I muttered my discontent in his general direction and we gave up and walked out. This particular pub may indeed be lovely, and its food delicious, but I have no plans ever to go back. I took a blogger to dinner last night. "I'm getting hungry now," he said. We didn't want a big dinner. Beer and pasta, or something, that'd do. So I took him somewhere I've seen various London bloggers write about, but only because they were paid to. We were welcomed at the door by the maître d', and he led us swiftly inside. The restaurant was fairly full but not overly so, with several groups and couples enjoying a mid-evening Italian meal. We passed those near the window, we passed those further inside, and we carried on towards the bowels of the restaurant. There were some nice-looking seats over to one side under a display made from old bus blinds, but we didn't stop there either. Instead we were taken right to the very back next to the kitchen where there were three empty rows of tables. Not to the first, nor the second but to the third and final row, and to a table up at one end nearest to the kitchen door. It felt like we'd been placed in some kind of social exclusion zone, or medical quarantine, cut off from our fellow diners by some considerable distance. The intermediate seats later filled up, but even by the time we'd finished our panettone and ice cream (yum) we were still the only diners on the back row. It's possible we'd been placed there because the kitchen provides a bit of a floor show, and the waiters thought we'd be the only people in the restaurant to appreciate it. But on paying the bill and walking out, I couldn't help noticing something peculiar. Every other dining party (and there were at least forty) contained at least one woman. There were plenty of men dotted around the place, but without exception there was always at least one female at every table. Had we been dumped at the back because we were two blokes? We weren't in trainers or anything, and I was even wearing cufflinks, but maybe we were lacking a chromosome somewhere. Our service had been impeccable throughout, and the food was molto bene, but I don't think I'll be rushing back. I took a blogger to dinner last night. "You're going to blog about this aren't you?" he said. This is the longest section of the Capital Ring, and I suspect there's good reason for that. A lot of the walk is alongside roads, not across greenspace, so the extra length is required to make sure there's something actually worth seeing. To be honest, sorry, I've walked better. Section 3 starts on Marvels Lane, which is badly named unless you think Bannantyne's gyms are especially marvellous. At the top of the hill is Grove Park Library - an endearing but small pre-fab which looks like it'd be more at home on a wartime airfield [photo]. The library opens for two and two-half days a week, or at least it will until the end of May at which point it'll close for good (Lewisham council decided yesterday). All the more ironic given that one of the 20th century's most-lended authors - E Nesbit - used to live just up the road. Her memorial is an alleyway down the side of some flats named Railway Children Walk, which I can't ever imagine Jenny Agutter skipping down, but does at least lead to a railway. It also leads to Grove Park nature reserve, which looked enticingly woody but alas the Capital Ring didn't go that way. 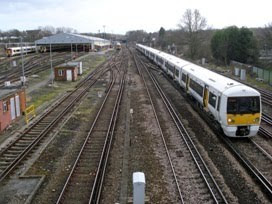 Instead it was up and over the Sevenoaks line, all six tracks of it, with a fine view over Hither Green Cemetery in one direction and a rail depot in the other. Welcome to Downham. Most Londoners have never heard of the place because it doesn't have a station, but this is one of the capital's largest housing estates, developed as overspill in the 1920s [photo]. It's not pretty, by modern standards, but the council houses and spacious streets would have been luxury indeed for those escaping from Bermondsey and Rotherhithe. My welcome to Downham was two burnt-out cars... although one of those was within the confines of the local fire station and had clearly been used for door-wrenching practice. The Capital Ring followed what appeared to be an arbitrary zigzag path through the estate, first along two extra-broad avenues, then into a narrow strip of isolated woodland. Only close inspection of a pre-estate map revealed that this irregular tree-filled ribbon was actually perfectly preserved by the estate's planners, everything else round here having been open fields. The Downham Woodland Walk is enhanced by several carved posts, marking some sort of nature trail, plus the occasional underfoot mosaic and set of wooden teacups. I've probably made that sound more exciting than it really is, but when you live in Downham every natural retreat counts. 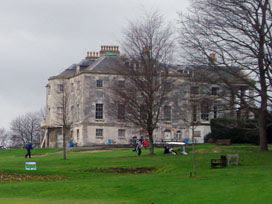 Hop over the busy Bromley Road for the highlight of the walk, which is Beckenham Place Park. This looks like a fairly ordinary park when entered from this angle, with the River Ravensbourne trickling alongside a large patch of grass. But that's actually a water meadow, and beyond the railway is a delightful expanse of ancient woodland [photo]. If you know what you're looking for you might spot some rare Wild Service trees, although hopefully they're not in the clearing I noticed the Forestry Commission had been chopping down. Local wildlife on my visit included squirrels, squawking parakeets and several off-leash dogs. Less wild were the golfers, out for a thwack and putt across several acres of rolling grassland. Their clubhouse is Beckenham Place, which sounds like the Queen ought to live there, or at least David and Victoria [photo]. This bold Palladian mansion was built by local timber merchant John Cator in the 1770s, and most of the remainder of this walk tramps across his former estate. Most of the remainder of this walk is a bit dull, at least in comparison to the last half hour. There was supposed to be a highlight near Stumps Hill, just outside the park, where a Green Chain map had promised a very rare Edward VIII postbox. I searched and hunted, and doubled-back for a second look, but without a precise location I was looking in vain. On Googling later I discovered that the elusive red pillar was on the corner of Southend Road and Brackley Road, which this long distance footpath doesn't even go past (pah, but at least you'll know where to take the detour if you come). I got to walk past Kent County Cricket Club's London outpost instead, but even that wasn't as interesting as it sounds. A gloomy subway led beneath New Beckenham station, after which the Capital Ring decides not to take the direct route. Instead it weaves north and south to take in a handful of local greenspaces, purely because they're there. Cator Park used to be a Victorian Pleasure Gardens, although the river runs in a concrete channel down the middle, and any pleasure in mid-February was sorely lacking [photo]. The fenced-off playing fields on Lennard Road were a particular lowlight, except they led to the Alexandra Recreation Ground which was slightly less so. A bowling green, a disused water fountain and a bunch of schoolboys kicking a football against a wall, that was my entrance to Penge. The official path crossed the footbridge at Penge East station, where a forlorn plaque remembered the day Frank Bruno turned up to open Tasty Toasties (now closed) [photo]. Penge High Street, Penge West... it had been an hour and a quarter since my walk had taken me anywhere thrilling. Thank goodness for the final bit. I reached Crystal Palace Park just as dusk was almost about to start to nearly fall. Two parkkeepers were standing by the gate trying to encourage people not to enter, but I slipped by because I had a last half-mile to walk. The cafe was shuttered closed, the car park was emptying, and a few pairs of parents and children were scuttling home after a cosy afternoon out. I got to walk past the legendary sculpted dinosaurs mooching in their artificial swamp, and the fading light somehow helped to make them a little more realistic. Not difficult, to be honest. A final yomp along the edge of what used to be London's premier athletics stadium (and still is, for a bit) brought nearly three hours of walking to an end. Like I said, I've walked better. » Who else has walked it? Stephen, Darryl, Mark, Paul, Tim, Charlotte, Richard. I am not going to write about the Olympics two days running. "Tower Hamlets council has dropped legal proceedings against Olympic organisers over the marathon route, claiming to have won concessions." Back in November, you may remember, my local council threw a strop over the re-routeing of the Olympic Marathon. New Mayor Lutfur Rahman said he believed LOCOG had acted unlawfully in failing to adhere to the spirit of the original bid, and that a Judicial Review was the only option. He had a point. The borough was due to be hosting the Basketball, until that arena got shifted to save money. Most of the Race Walk was due to snake around Victoria Park, until that got moved to central London instead. And then the marathon route got amputated, severing the run up the Mile End Road in favour of another run down The Mall. From three Olympic events to zero, that is indeed a kick in the East End teeth. Now that the Olympic schedule has been released, we can see if Seb had a point. Would the marathon have conflicted with several other events and caused a serious traffic snarl-up? Well, yes and no. The women's marathon is scheduled for 1100-1400 on Sunday 5th August. At the same time there's hockey, basketball, cycling, handball and water polo going on in the Olympic Park. There is absolutely nothing going on in the Olympic Stadium, not until the 100m semi-finals kick off five hours later, so no overlap there. Meanwhile there are lots of Sunday lunchtime events elsewhere in London - in North Greenwich, Greenwich Park, Woolwich, Wimbledon, Earls Court and Wembley - which athletes and spectators need to travel to. I'm by no means convinced that 80 runners on the Bow Flyover create insurmountable congestion problems, but apparently they do, and I'm not the expert. The men's marathon is scheduled for 1100-1340 on Sunday 12th August. This is the last day of the Olympics, and the number of events going on is minimal. There's some water polo in the Park, plus there's the modern pentathlon which spends a bit of time in the Park, but the Park is essentially empty. Had the men's marathon run out to the Stadium as originally planned, sorry Seb, your claims of Olympic-related traffic chaos just don't hold up. Instead the marathon runners would have arrived at a spectator-free arena in the middle of preparations for the Closing Ceremony, six hours later, and I guess that doesn't make for good TV. Lutfur's legal challenge wasn't necessarily to get the marathon route reinstated, because we're well past the stage where that's a practical possibility. Instead he hoped to get concessions from LOCOG to bring more Olympic 'stuff' to Tower Hamlets. And in this he claims to have succeeded, because he sat down in Bow with Seb yesterday and smiled and signed something official-looking. Let's see what marvellous perks he's won for us. Plans around maximising employment opportunities for Tower Hamlets residents will be implemented immediately with the secondment of a full time council employee to the LOCOG HR team. They will work together to identify up to 1,000 vacancies that Tower Hamlets' residents will be given access to 72 hours before they enter the wider employment market. Woo. One council employee is going to Canary Wharf, lucky them. They'll identify "up to 1000 vacancies" - a range which could mean 999 jobs or could mean 2. These jobs could be managerial or they could be cleaners, we don't know. And then unemployed residents signed up on some council list somewhere will get 3 days longer to submit their CVs than everyone else. Sorry, but that doesn't sound like much of a jobs boost to me. There will also be joint working to ensure that the many opportunities for children and young people in Tower Hamlets schools, from being involved in test events and ceremonies rehearsals, to accessing tickets for the Games through the Ticketshare scheme by all schools in the borough being part of the London 2012 education programme 'Get Set'. I've read that several times, and I think there's a clause missing at the end. What precisely is being ensured? I don't think it says. It's obviously brilliant for local schoolchildren that they'll get to go to test events and ceremony rehearsals - that could be the best field trip ever. But 'Get Set' is an existing programme which schools can enter anyway. There may be 50000 free Olympic tickets on offer to schools and colleges in London, but Tower Hamlets' 25000 pupils won't be getting preferential treatment. LOCOG has also confirmed plans to work with Tower Hamlets to develop a special event to mark the London arrival of the Olympic Torch Relay. Aren't we the lucky ones? When the Olympic Torch finally arrives in London, sometime after May 18th, it'll arrive in Tower Hamlets. That could mean arriving by speedboat at the Tower of London. It could mean dropping in by parachute at Canary Wharf. It could just mean a big event hosted by Fearne Cotton in Victoria Park. All I will say is that the Beijing Olympic Torch arrived in Tower Hamlets three years ago, and the event locally was a crushing disappointment. Please do better in 2012, because 2008 was abysmal. Brick Lane and Banglatown will be promoted as cultural and entertainment hub for media, spectators and other visitors to the Games, helping to boost business and the reputation of the area. Good idea. Brick Lane's an ideal spot for Olympic tourists to dine out after a tough afternoon's spectating. Although are you trying to tell me, Seb, that you wouldn't have promoted the area unless our Mayor had complained? Is this really a special PR boost, or is Banglatown simply going to be one of many destinations in an Olympic tourist brochure? So there you go. Four concessions to Tower Hamlets, only one-and-a-bit of which could be described as generous. They even have a whiff of favouritism about them, in both social and economic terms, compared all to the other Olympic boroughs nextdoor. Whoever brokered this deal ought to be pleased, because both sides appear to have emerged from a bitter argument without losing face. But as a Tower Hamlets resident I'm not impressed. I'd much rather have had the marathon running past my door as promised, and these few lesser scraps won't ease my disappointment. I am not going to write about the Olympics three days running, honest. The official schedule is really complicated. There are 650-ish sessions in 40-something sports across two-and-a-bit weeks, which makes it really hard to start planning from scratch. London 2012 have produced a mega-pdf, subdivided into mini-pdfs, for the final detail. The Telegraph have a rather nice interactive schedule. But you need to start at a higher level. Try this very-approximate timeline for size. We covered this one last week, remember. The application process is a raffle, so you might be tempted to apply for more tickets than you need. But you'll be forced to pay for every ticket you win, so check your potential overdraft before you apply. Payment will be taken somewhere between Tuesday 10 May and Friday 10 June, so we're told. If you're feeling financially screwed at the moment, the BBC website has a helpful table showing where all the £20 tickets are. There are only 6.6 million tickets up for grabs. That might sound like a lot, but it's not even enough for everyone in London to get one each. Some of these Olympic events are going to be ridiculously over-subscribed. Even if you have hundreds of pounds to splash around, you won't be attending every event you want to see. Don't get your hopes up. In particular don't try to plan yourself a perfect weekend of six consecutive medal-winning sessions, because you'll only end up with two days full of holes. If your only goal is to say "yes, I went to the Olympics", then avoid the massively over-subscribed sessions. Check out the "ticket limit" column on the schedule. If the limit's 4, you're probably not going to get in. If the limit's 20, it's much more likely you'll be lucky. The event you get to attend may not be thrilling, but at least you'll be able to say "I was there". The one fact Olympic organisers have failed to mention on their ticket schedule is how many tickets they'll be selling at each session. Several will be saved for sponsors and their hangers-on, the so-called Olympic family. But you can get a pretty good idea of how many tickets are available if you know the capacity of each venue. Some of these are a lot smaller than you might expect, and your chances of getting a ticket will be similarly restricted. One useful rule in the ballot is that you'll win either all or none of your tickets in each session. So if six of you want to go and see the rowing, apply as a group of six. That way you'll get either six tickets or nothing. Whatever you do, don't let Dave and his wife apply for their tickets and Julie apply for hers and you get the rest, otherwise you're almost certain to be split up. If you don't have a Visa card, you won't be able to buy tickets online. But you will be able to use the ticket application form in the Official Ticketing Guide instead. This document can be picked up from March 15th onwards in any English branch of Lloyds TSB (or Bank of Scotland in Scotland) (or local library in Northern Ireland). The organisers are happy to take a cheque in an envelope, or even a postal order, to pay for your winning tickets. No plastic monopoly need spoil your enjoyment of the Games. If you don't live in London, do you really want to battle your way into town, pay through the nose for a Travelodge in Aldgate, then queue to squash yourself into a crammed tube train? Your Olympic Ticket includes a free zone 1-9 travelcard, so it's not all bad news. But why not head outside the capital instead? There are 50 football matches to watch, plus the joys of rowing in Windsor, canoeing in Herts, sailing in Weymouth and mountain biking in Essex. I scouted the four major venues outside London last summer, and my reports might help convince you to follow. Now there's a disclaimer. You may think you've booked tickets for the cross-country riding on July 30th, but London 2012 reserve the right to shift any event in case of bad weather, terrorist alert or whatever. It might be safest to stay at home and watch the whole thing on TV instead. The entire fortnight's optimised for the small screen anyway, plus you can nip out for a drink whenever you like and not be forcefed a Coca Cola. But hey, even if it's only for a preliminary round in the volleyball, this is a once in a lifetime opportunity. Worth a dip in the Olympic bran tub, don't you think?